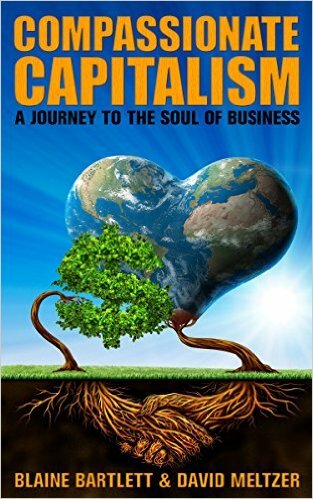 Best Seller Publishing announces the release of Blaine Bartlett’s new book, “Compassionate Capitalism: A Journey to the Soul of Business.” It will be available for free download in the Amazon Kindle Store for one more day on July 15th. Business is the most pervasive and influential force on the planet today. Its activities transcend national and international borders. Its activities are not unduly constrained by financial, political, cultural, ethnic, or religious concerns. The net of this is that business, as a prevalent and important force, has a moral responsibility to guide, enhance, value, and nourish the existence of all that it encounters. In the world today, the absolute opposite of this occurs. Business today seldom assesses the efficacy of its activities through the lens of anything but profit. The true purpose of business is to uplift the experience of existing. It is not to make owners wealthy. It is not to produce ever-cheaper goods and services. It is not to keep an avaricious and toxic economic model afloat. And it is certainly not (with no apology to Milton Friedman) to make a profit. From our perspective, business is nothing less than a spiritual discipline, it requires the same integrity, commitment, intentionality, courage, discipline, and compassion as any other spiritual discipline. Spiritual disciplines honor life, in all its forms, as having innate and intrinsic value simply because it exists. It’s the honoring of this value—the ennobling of this value—that is called forth when we approach business as a spiritual undertaking. It is the compassionate thing to do. “Corporate America has made business turn for the worse. It has led to a greed-driven economy that can only result in winners and losers. For me, ‘Compassionate Capitalism’ was breath-of-fresh-air. It reminded me that business does not have to be greed driven. This book captures the idea that you can put the customer first and still find the resources necessary to have a successful business. Credit to the authors for breaking away from the “norm” and reminding us what business is supposed to be all about: the customer. I highly recommend this book for any businesses trying to stand out to its customers.” – Mike W.
For more questions or to schedule an interview about this press release please contact Rebecca, Author Liaison, at (626) 765-9750 or email info@bestsellerpublishing.org. Blaine Bartlett is an internationally respected and sought after keynote speaker, executive coach, management consultant, and organizational development expert. Blaine is President and CEO of Avatar Resources, Inc., a consulting firm he founded in 1987. The firm has affiliate offices in four countries. Blaine is also an Adjunct Professor at China’s Beijing University and is on the teaching faculty of the American Association for Physician Leadership.